Have you ever seen one of those cute appliqué shirts at boutique shops and think “I love this but I can’t sew”? Well, today I am solving that problem for you. 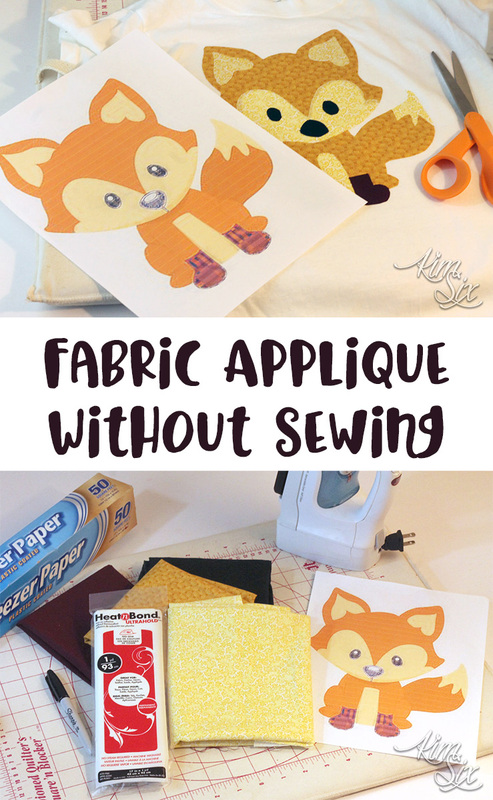 There is a super quick and easy way to create appliqué and all it takes is your IRON. Yes! Using a heat activated glue sheet (known as fusible or fusible web) you can add fabric designs to clothing! I found this cute fox drawing in a coloring book and I knew it would be a great shirt for my “What did the fox say?” obsessed 4 year old. You can find this tutorial, the supply list and even COUPONS on the JOANN app, which is available for iOS and Android. Step 5: ACCURATELY cut out templates. -Make sure you apply enough pressure and leave the iron down for the right amount of time (depending on your fabric choice) Follow the manufactures instructions for your fusible web closely! - Dark fabrics will show though light fabrics so darks should always be the last color you apply to the design. I will often cut the templates just slightly larger and allow the pieces to overlap slightly so no gaps show. - Follow the washing instructions on the fusible web. I wash and dry my shirts in the regular laundry and if the design starts to lift I just press it again. The fabric may fray slightly on the edges, especially with lower thread count fabrics. My four year old loves his ‘What did the fox say?” shirt. And I am just as excited to find the new JOANN app. No more hunting for coupons on my phone’s browser while standing in line! Plus there are a ton of fun project ideas and the weekly sale flyer is right at your fingertips!